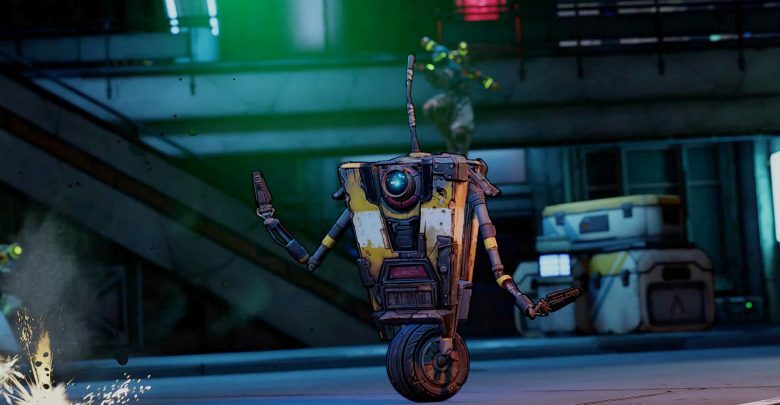 Since the announcement of Borderlands 3 last week, fans have been anxiously waiting to hear more information. We don’t much about the highly-anticipated sequel, but developer Gearbox notes that details will be revealed on April 3rd. Although that date is yet to arrive, it seems that the Borderlands Twitter account has accidentally shared some potentially unwanted news. Yesterday, a series of tweets by the Borderlands Twitter account hinted at a September 13th release date. 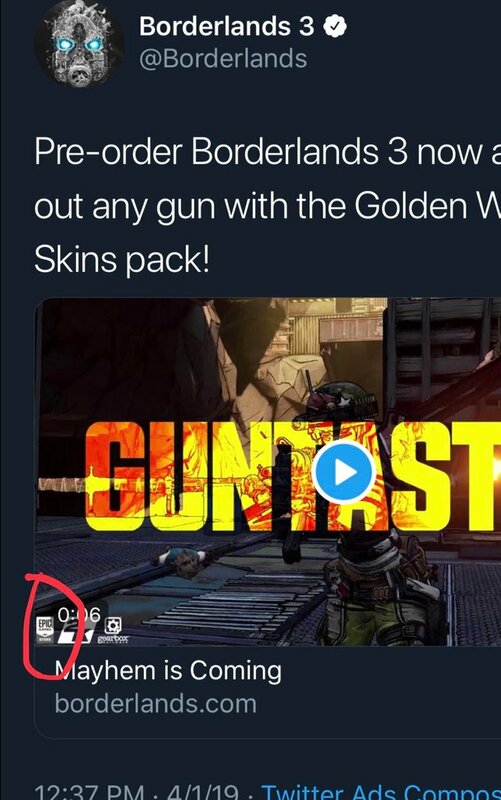 Moreover, a promotional video from a Twitter ad suggests that Borderlands 3 might be an Epic Games Store exclusive. The video has now been pulled, but not before a Twitter user took notice. In the bottom-left corner of the short clip, the Epic Games Store logo can be seen alongside 2K’s and Gearbox’s logos. Unfortunately, the Steam logo is nowhere to be seen. At first glance, this seems to be a very bizarre prank. After all, it was discovered on April Fool’s Day. Wario64, the person who spotted the tweets, confirmed that this isn’t an ill-timed joke. If Borderlands 3 becomes the newest addition to the Epic Store’s ever-growing list of exclusive titles, fans will only get more upset. Anticipating the incoming backlash, Gearbox CEO Randy Pitchford shared his thoughts on the subject. While this news comes from the official Borderlands account, there’s no way to tell if Borderlands 3 will actually be an Epic Store exclusive. The same goes for the suggested release date of September 13th.